It’s been a good couple of weeks for President Trump. The whole Russian collusion narrative has boomeranged on the Democrats and especially the Clinton’s. Trump has successfully framed the NFL National Anthem kneeling protests as a patriotic issue and has pretty much won the argument. The NFL is losing viewership and money. His tax reform proposals are gaining momentum. 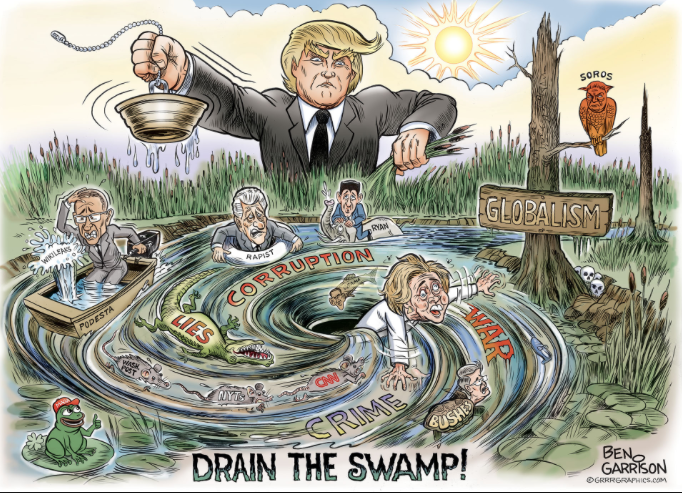 But probably the biggest new story is the continued swamp draining. When candidate Donald Trump promised to “drain the swamp” in Washington, I never thought the swamp would cooperate and start draining itself. But that seems to be happening. 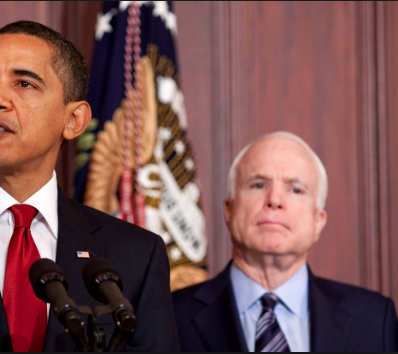 I want to know where Senator Flake was the last eight years when President Obama said things like “if they bring a knife we bring a gun”. Was that outrageous or undignified? 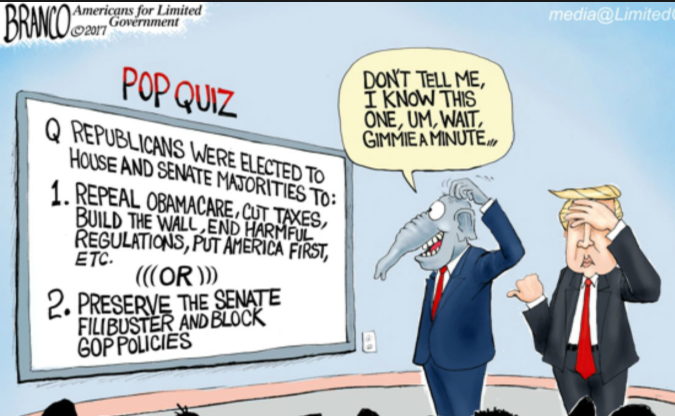 Republican politicians for years have been constantly hit with nasty criticism from the Democrats. They are often called racist, misogynists, homophobic and the list goes on. Yet they sit there and take it without pushing back. Now, oh my goodness, Trump puts out critical tweets and all of a sudden they are aghast and claiming victim status. Get out the smelling salts and the fainting couches. At least this is true. That accurately describes the Republicans in Congress the last 8 years. No one is against immigration. Voters are against illegal immigration. And tell me exactly where that belief in limited government has been the last 10 years on the Republican side of the isle. The ones who have a narrow path to nomination are the ones who continue to put globalism ahead of the American people. Of course. It’s a spell don’t you see. Those darn voters. When they start demanding better representation they are under a spell. I remember reading a comment about Hillary’s campaign last year to which the basic point was that she was never able to make the connection between what the voters WANTED and what she thought was BEST for them. That sums up liberalism in one sentence but unfortunately it is true of most elite/establishment politicians from both sides of the aisle. Here is the truth: Jeff Flake is not running for re-election because he knows he couldn’t win a primary fight (as he said himself). His approval ratings are in the low 30’s. But instead of doing some soul-searching to find out what the voters might be saying to him, he decides to use his retirement speech to “stand up to Trump”…by taking his ball and going home. The media portrays all this as a GOP civil war. I see it as a re-alignment. We the people are taking back our proper place at the top of the political process. And the establishment’s monopoly is being undermined and may soon topple. I see it as a good (and necessary) thing. 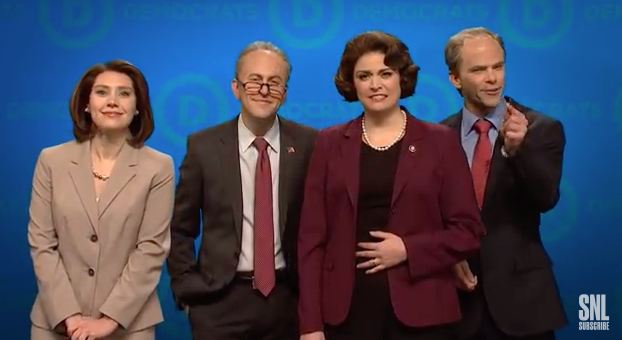 SNL Viciously Attacks…the Democrat Party! ?